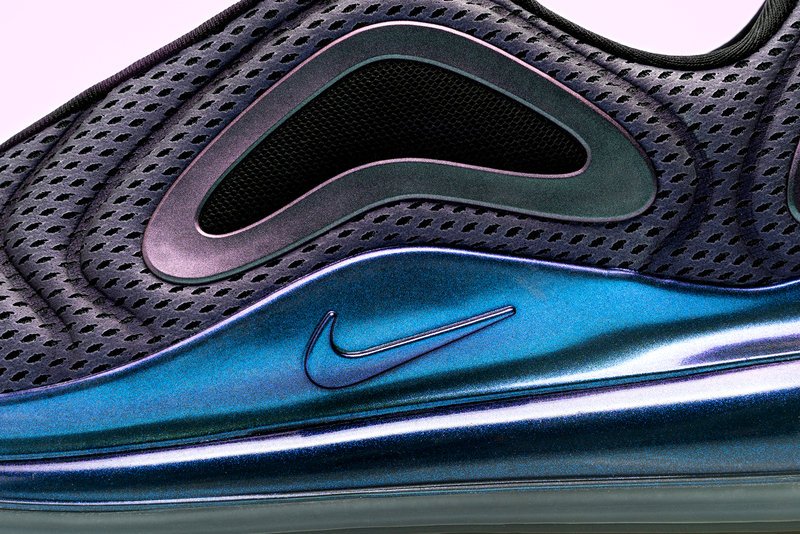 The new year brings new beginnings, and more importantly, new silhouettes from Nike. 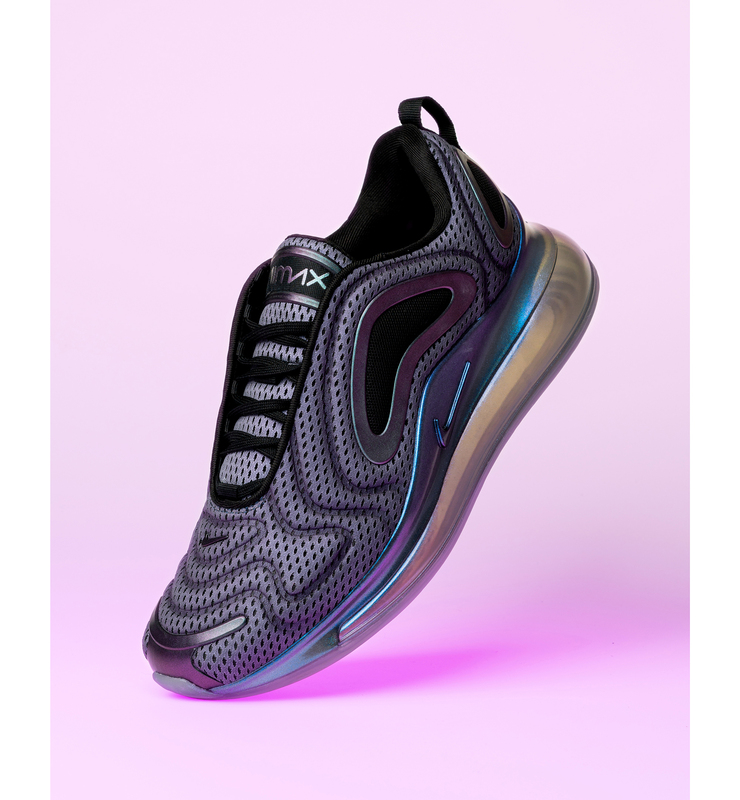 Debuting on the feet of attendees at Paris Fashion Week recently, this season will see the brand-new release the highly anticipated Air Max 720. 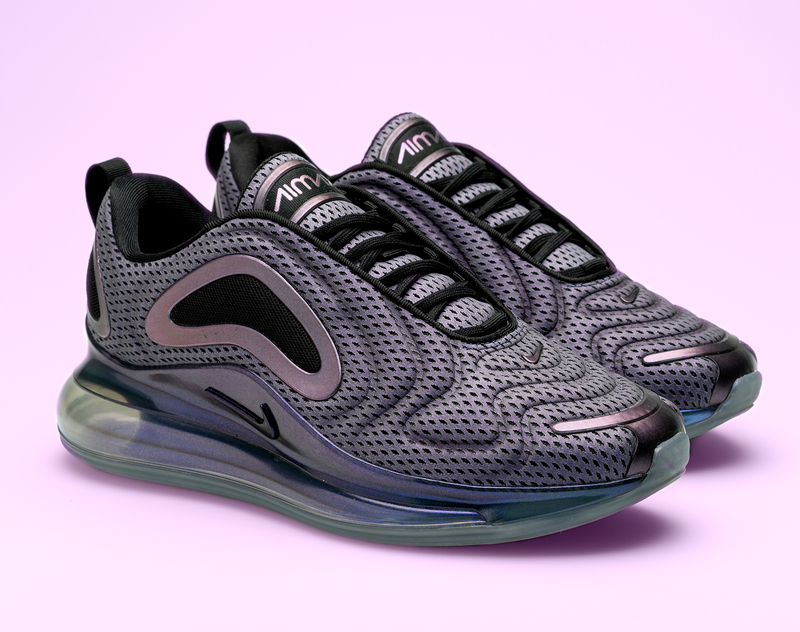 The shoe coins its name from its innovative new midsole, stemming from the idea that the Air Unit is visible both horizontally and vertically. 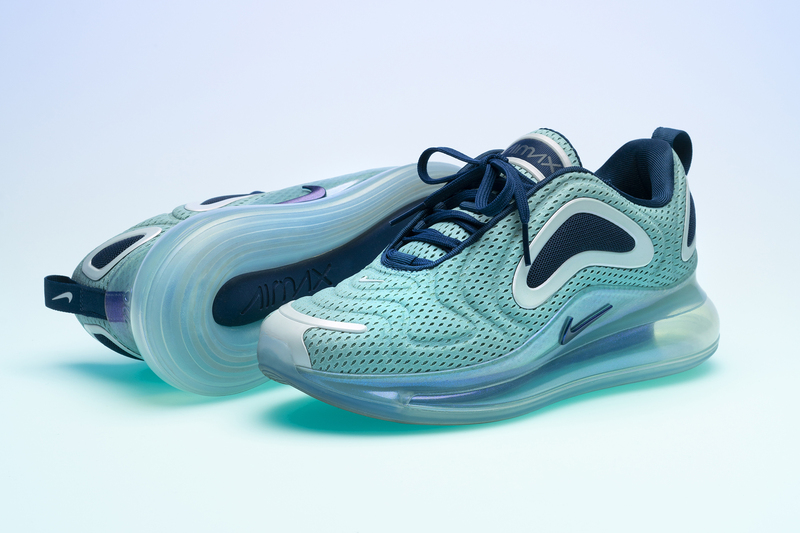 The 720 features Nike’s first full-length lifestyle Air Max unit, and the data-driven shoe was developed by monitoring the steps of commuters in major cities using motion-sensor technology. However, its design was actually inspired by nature – specifically the movement of energy in different wonders, and this is reflected within each colourway, with colourways being named after a selection of natural wonders, with this first pack named the ‘The Northern Lights’. 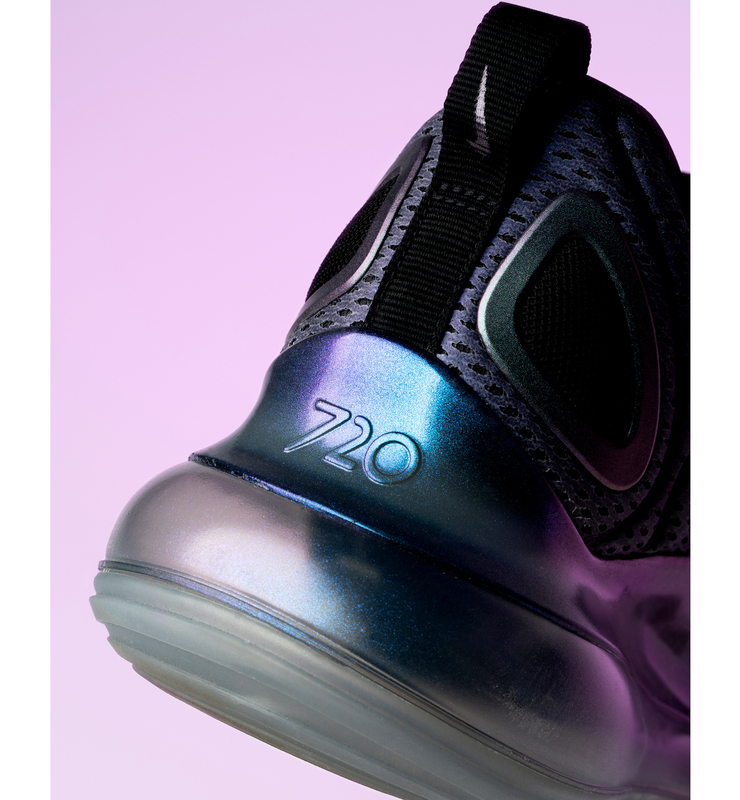 The 720’s predecessor, the 270, registered at a 32mm high, which was formerly the brand’s tallest ever heel bag. The 720 raises the bar by elevating the Air unit to 38mm, and by doing so, delivers the springiest silhouette Nike has ever manufactured. The brand’s loftiest heel unit also provides the biggest heel volume displacement. This maximises the 720’s cushioning abilities even further, and with its 360-degree profile, provides a cradle-like structure for your foot. Nike’s ethos is that there should be no compromise between reducing their environmental footprint while continuing to improve athletes performance. 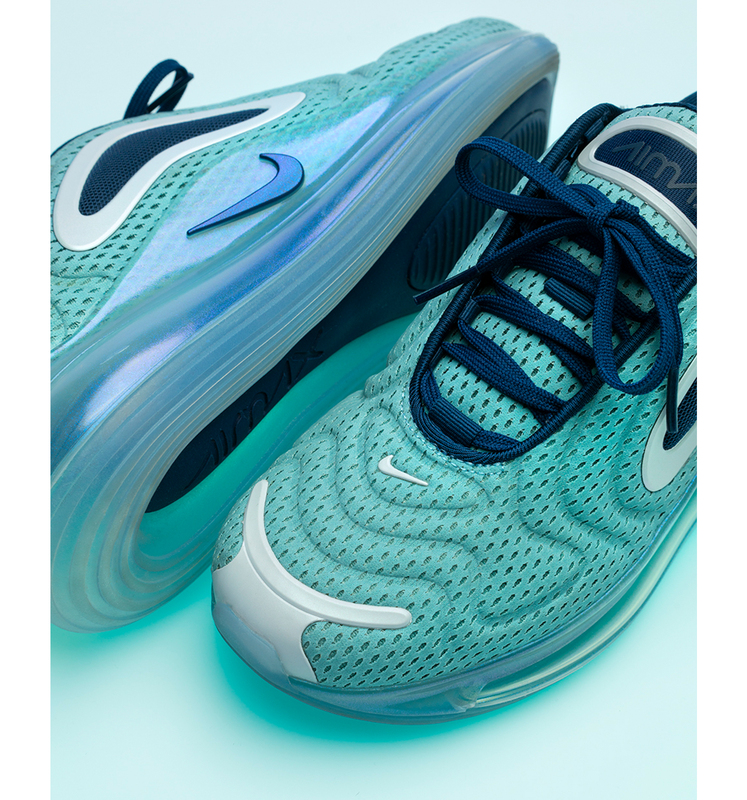 With the production of Nike Air focused on delivering a more sustainable future for athletes, the 720 is environmentally conscious, arriving with a composition of at least 75% recycled manufacturing waste. With nature at its roots, these “Northern Lights” iterations take influence from the magnetic fields of Earth’s northern hemisphere. 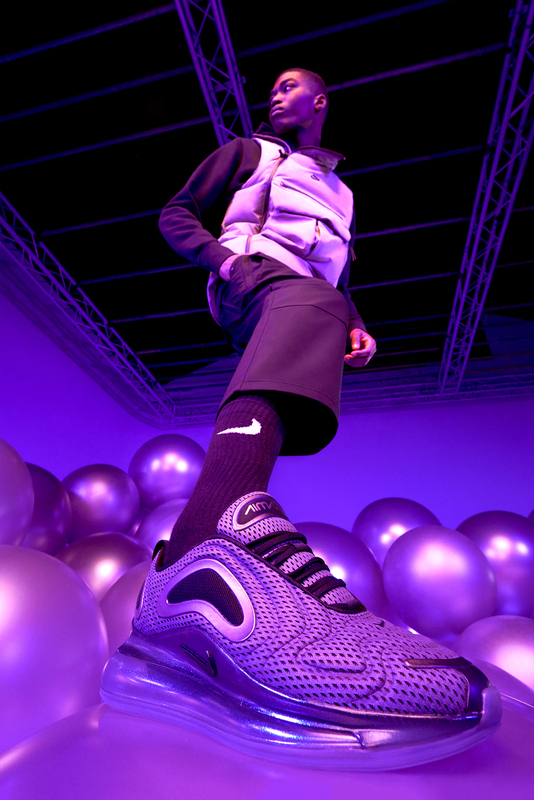 Replicating the shimmering effect of the natural phenomenon, both pairs come covered in an iridescent-like mesh, with blue hues making up the women’s ‘Day’ model and purple featuring across upper of the men’s ‘Night’. Subtle black and metallic silver detailing features throughout, while Nike branding decorates the tongue, midsole and heel, along with “720” emblazoned onto the heel counter. 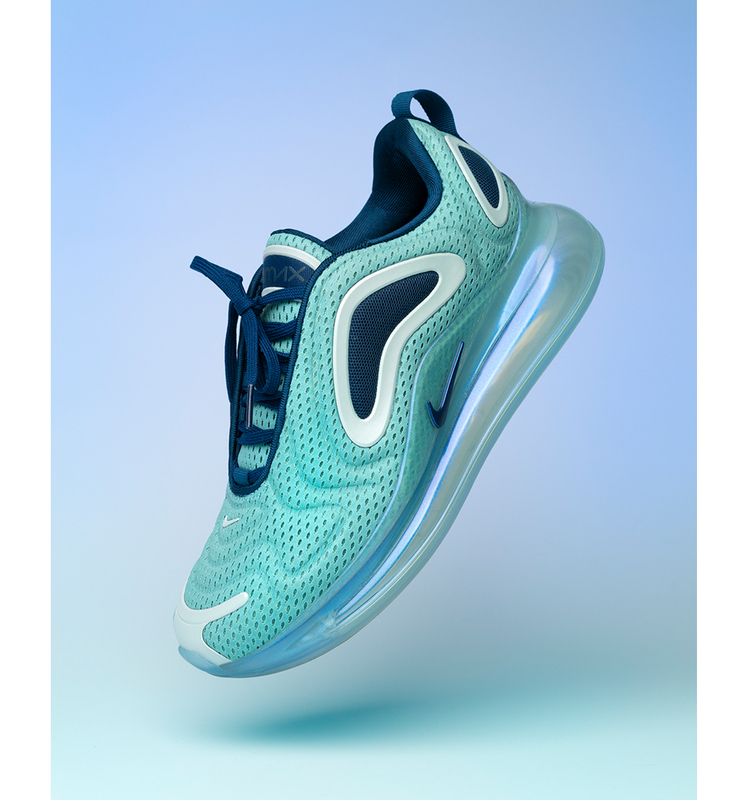 The Nike Air Max 720 ‘Northern Lights’ will be available via the size? Previews App and in size? stores on Friday 1st February, priced at £155 and available in both men’s and women’s sizes.